When it comes to optics in general, you wouldn’t dare argue that Leupold don’t know their stuff. They have a remarkable reach with their various products, and their brand is trusted the world over by everyone from birdwatchers to hunters. But you’re here because you’re a golfer, and we’re here to tell you whether the GX-4i2 rangefinder justifies all the hype. In short, it most certainly does… but we also didn’t put it back in its case afterwards feeling entirely convinced it would bait the masses. 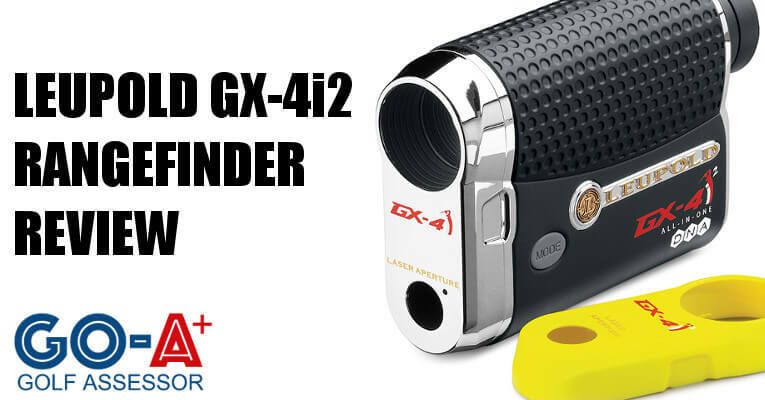 We reviewed the Leupold GX-4i2 Rangefinder as part of our Best Golf Rangefinder Review. You can see how it faired against it’s competitors in the side-side comparison table below. 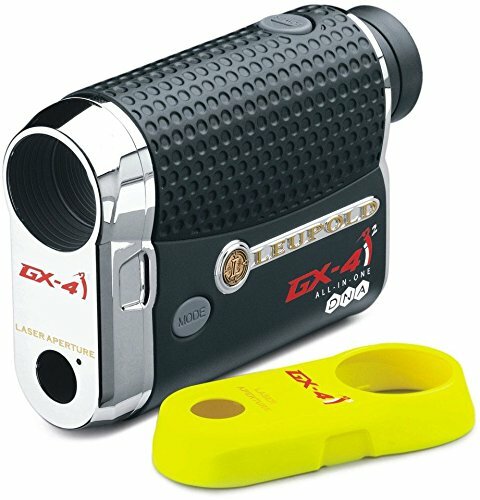 If you already own the Leupold GX-4i2 Rangefinder please feel free to leave your own review in the comments at the end of this article. Looking to buy the Leupold GX-4i2? Use the Quicklinks below to navigate our Leupold GX-4i2 Rangefinder Review. First things first, this is a great piece of technology. Although the GX-4i2 is 2 years old now, the rangefinder still holds its own in the Leupold range. The features on the GX-4i2 are extensive – it literally has everything you need and more. So what are the downsides? Well it costs a small fortune. For the serious golfer, or one who is looking to super-charge their game, it may well be a worthy investment, but for the rest, well, we’d recommend holding fire, and perhaps considering other more affordable options. The Leupold doesn’t come cheap, but that doesn’t mean it isn’t good value for money. A rangefinder is a piece of equipment that will be with you for a number of years and is worth spending a bit more on than usual. Everything from slope to altitude to even temperature! Let’s start with build quality. The aluminum body looks as though it could handle flood, fire, a swarm of locusts and the rest. The big change from the GX-4i is the Smart Key faceplate, which was brought in in order to meet USGA regulations. The silver (chrome) faceplate conforms for tournament play, while the yellow faceplate – a separate attachment – is the one you want for the slope feature (albeit that it then becomes non-conforming). And with that, let’s move onto the breathtakingly enjoyable features! Believe me, this rangefinder literally has EVERYTHING! It’s all centered on the True Golf Range (TGR) feature, which adjusts distances for altitude and temperature. And, if that isn’t enough to make your mathematical mind lazy, it will then spit out a club recommendation for you too! I guess the only thing left for you to factor in is wind. Maybe that feature is on its way next. Other than that, it’s weatherproof, accurate to within 6 inches, offers a fog mode, has a range which is more than ample for your needs and other great features like the PinHunter2 technology (which we’ll elaborate more on below). All in all, they’ve well and truly nailed it. This is a category in which the GX-4i2 puts in a solid effort. Half a pound is about right for a supreme gadget like this, and the dimensions ensure that it will fit nicely into your paw. There’s plenty of grip on offer, so you won’t have any problem holding it steady. All in all, it’s fractionally bigger than its predecessor, but I’d be very surprised if this put you off in any way. We have just raved about the incredible features below, and rightly so. It has everything you need and more. Even a temperature guage! After all the talk of faceplates and features, it may surprise you how easy this rangefinder is to operate. The setup process requires a bit of work (although not that much, really). To activate the Club Selector feature, you’ll need to input a few distances for some of your clubs (it’s a rangefinder, not a mind-reader after all). Also, when you get to the course, you’ll need to punch in the altitude and temperature before you tee off to maximize the TGR feature. But all of that takes less than a minute. Once you’re up and running, you’ll be hugely impressed with the PinHunter2 technology. We really noticed the difference with regard to picking out flagsticks – and quickly too – and the prism lock beep lets you know precisely when the target’s been locked in. Attaching the yellow faceplate is easy too, while the red OLED measurements are crystal clear to decipher. All in all, it couldn’t be more straightforward. Well, $449 is a heck of a lot of money for a rangefinder, isn’t it? Bear in mind, that’s the Amazon price as well – some sites and outlets retail this bad boy for more than $600! However, seeing as we’re talking about it as an investment, this is the sort of all-round device that will give caddies cold sweats at night, and if you’re someone who forks out on a bagman more often than not, well, this could be a means of rendering them obsolete (unless you need a bag carrier) and thus recouping much of your outlay through long-term savings. Besides, the GX-4i2 exudes nothing but sheer quality, and there’s a reason it costs as much as it does – you’re going to get a lot for your money. You just need to be honest with yourself to determine whether such spend is justified, and how much you actually need these bells and whistles in your life. It’s a choice we can’t make for you, unfortunately. Here is our side-by-side comparison of all the golf rangefinders we reviewed in our assessment. 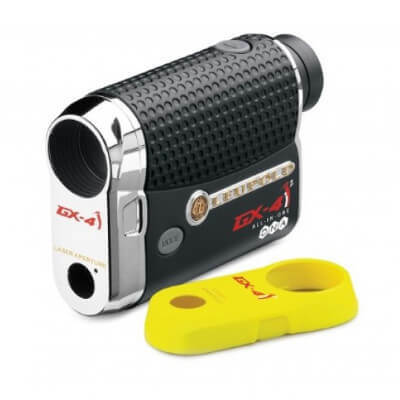 You can see our detailed overview of the Best Golf Rangefinder here. Great when it works but have had problems with the LED working. Third one and once warranty is up your on your own with no help from manufacturer. Pricey when you have to re-invest every 2-3 years.